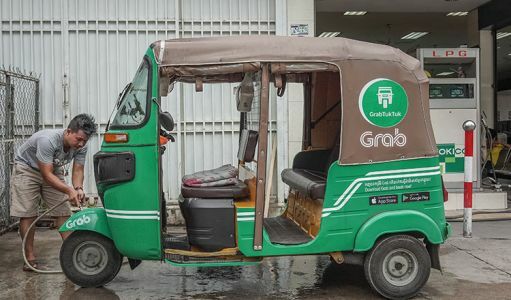 While they may seem more at home in the heaving streets of Mumbai or Calcutta, three-wheel tuk tuks are making steady inroads in Cambodia. 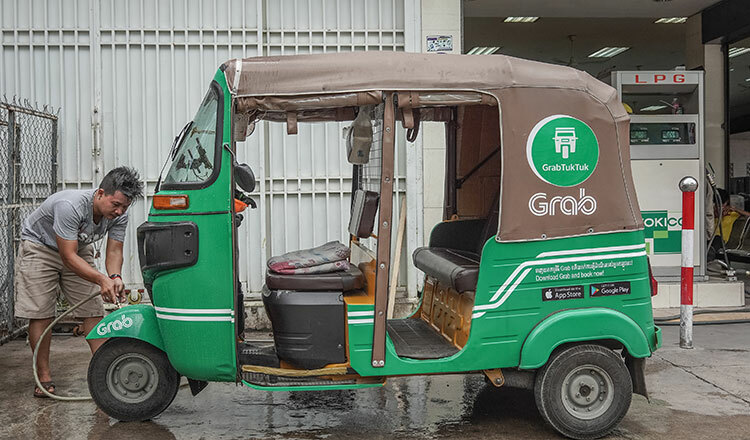 Commuters are able to flag them down like a regular tuk tuk or arrange a ride with the touch of a button through ride-hailing apps like Grab, PassApp, WeGo, Tos Tos, CamGo, 711Go Taxi and Exnet. Ride-hailing apps in Cambodia are becoming very popular. 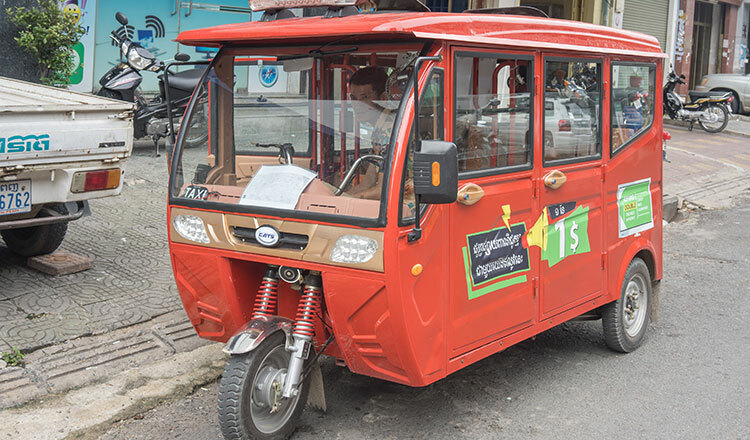 PassApp is now available in Phnom Penh, Siem Reap and Sihanoukville, and is also expanding to Battambang, Kampot and Kep. The Indian-made Bajaj three-wheel tuk tuk is the most popular on the streets of Phnom Penh. Another new comer is Vipar. 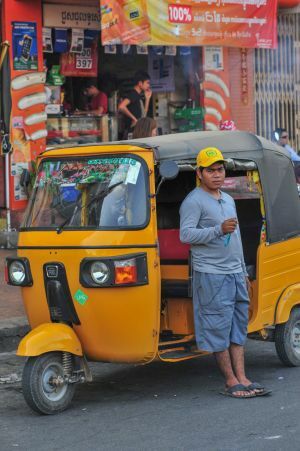 Although the tuk tuks are similar in appearance to their Indian cousins, Vipar Auto Cambodia manager Di Sokkheoun is quick to point out that their company, an offshoot of Indian giant Bajaj Vipar Auto, the world’s third largest manufacturer of motorbikes, has made many modifications to the base model to make it right at home in its Cambodian environment. 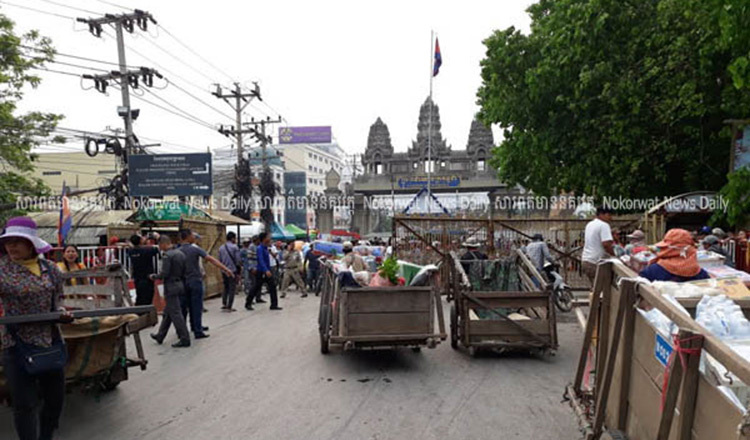 “We have made a large number of modifications for Cambodia. 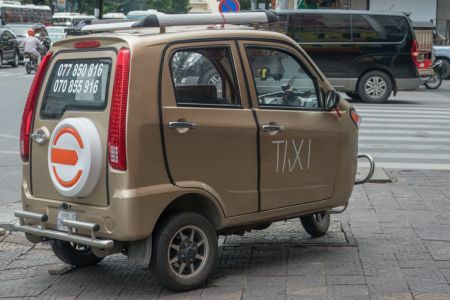 It is not an Indian tuk tuk. 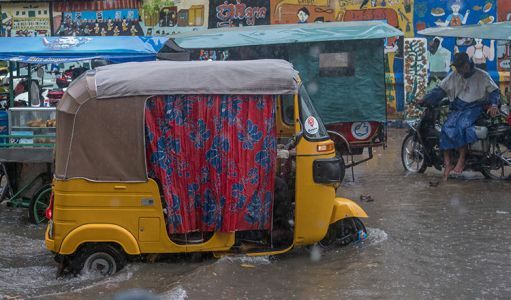 In India, they use compressed natural gas. 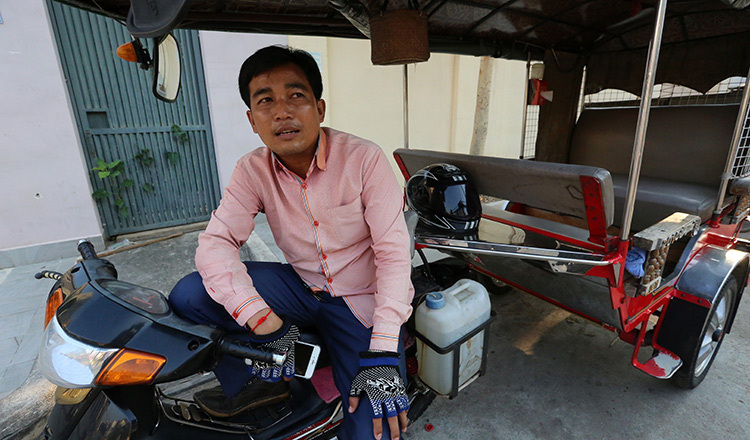 In Cambodia, CNG is not available, they have liquefied petrol gas [LPG],” he told Khmer Times. 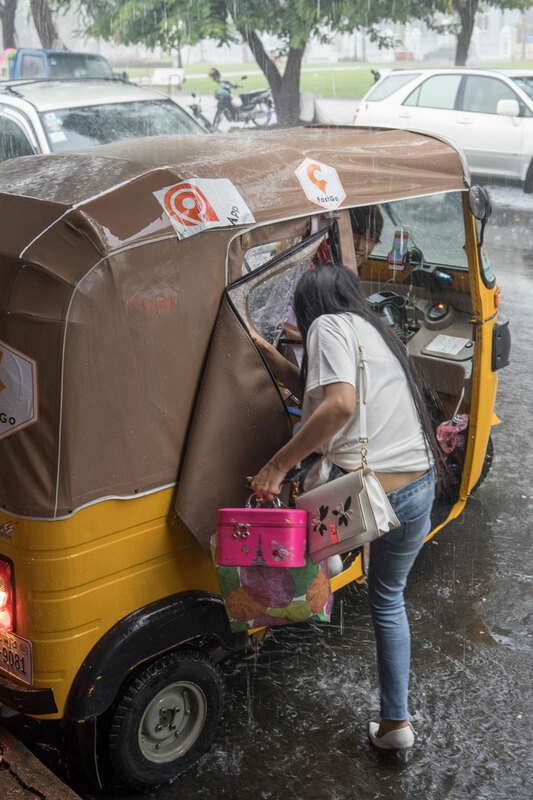 LPG, a frequently used fuel in the Kingdom, is more fuel efficient than regular petrol at just 1,600 riel per liter and releases far less CO2 emissions. 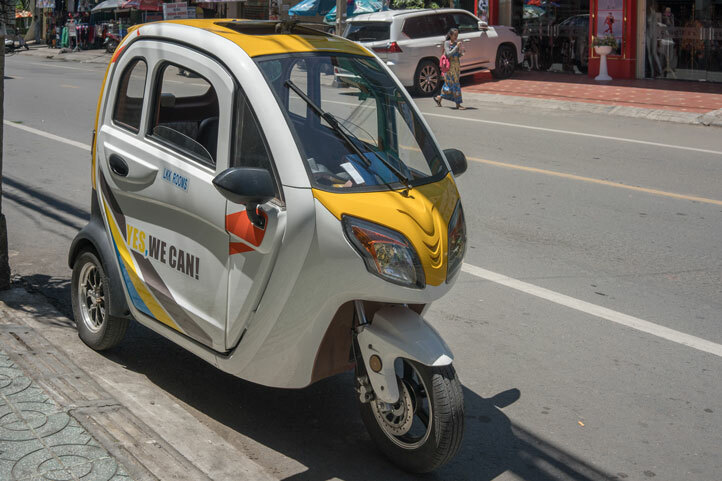 Vipar Auto says their RE205 three-wheeler’s combination of LPG and its light weight means it releases fewer emissions than a Honda Prius. In May, the Italian-made Piaggio Ape tuk tuk also entered the Cambodian market. 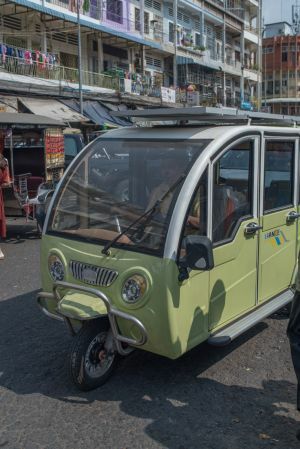 The Piaggio Ape is now expected to become a common sight in Cambodia, like Bajaj three wheelers and remorques, which are the most widely used vehicles for hire in the streets of Phnom Penh. Traditional tuk tuk drivers, however, are feeling the pinch.